Dove Season Kicks Off (September 1st) It’s going to be a Great Season, Lots of Dove Flying! Come out and Enjoy a Hunt! 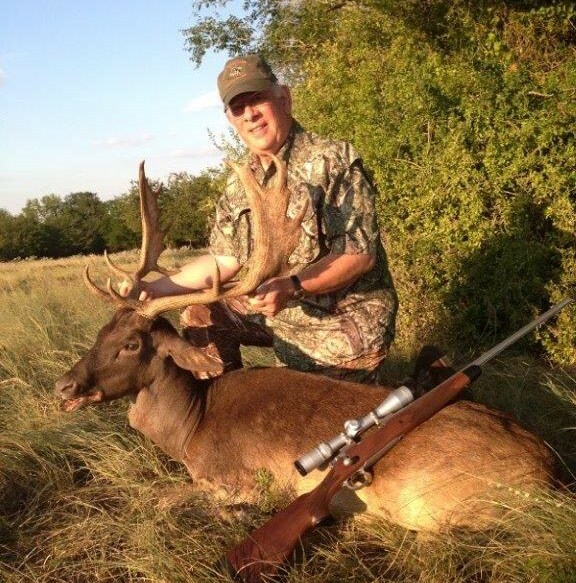 Deer Season Begins (Mid September–Mid October) Deer are in Hard Rut…. Come to experience the amazing sounds of the season…..Red Deer Roar, Fallow Deer Grunt, and Sika Deer Bugle, It’s a Vocal Time at the Ranch! Whitetail Season (October 1st–February 28th) It’s our Specialty, Bucks are Big, Hunt 130-150+. 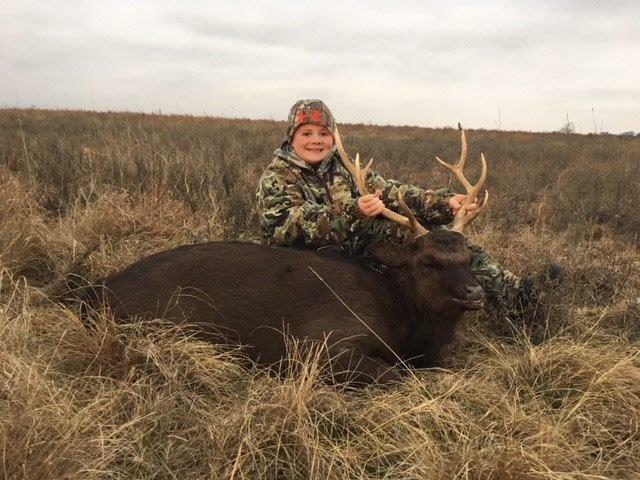 Book a Hunt with Us at Nine Bar Ranch! 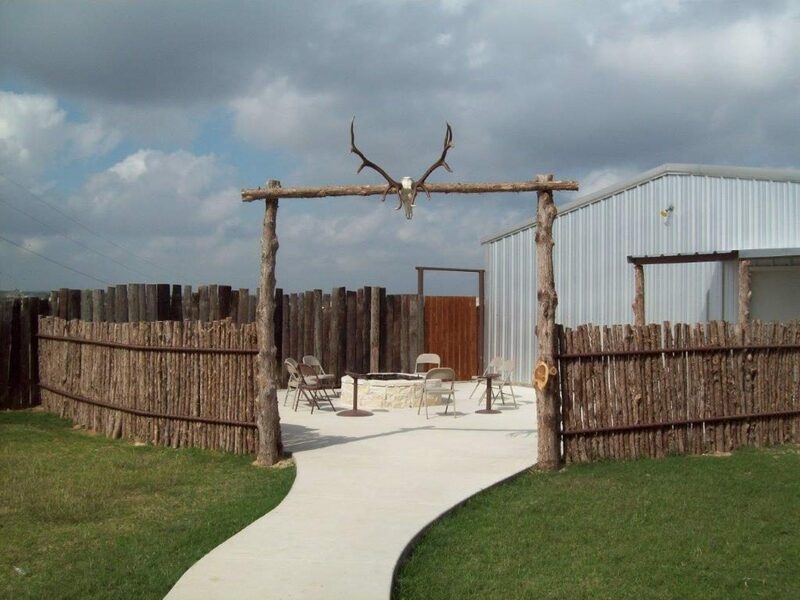 The Nine Bar Ranch is located east of Decatur, Texas about 45 miles northwest of the Dallas/Ft. Worth Metroplex area. 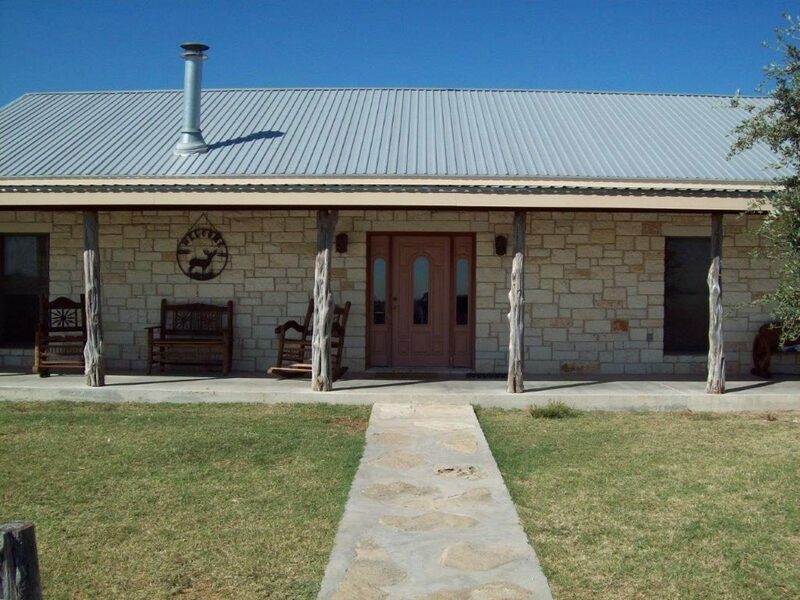 The ranch is owned by the Waggoner-Sauder family, a fixture in the Texas ranching community since the early 1900’s. 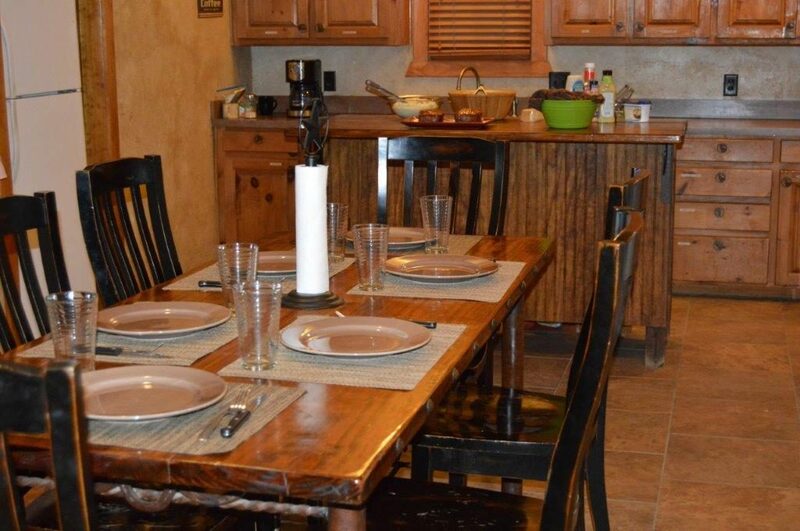 The ranch is comprised of over 12,000 acres of beautiful Texas scenery. If you’re looking for some of the best in fair chase Whitetail Deer Hunting, you’ve come to the right place. 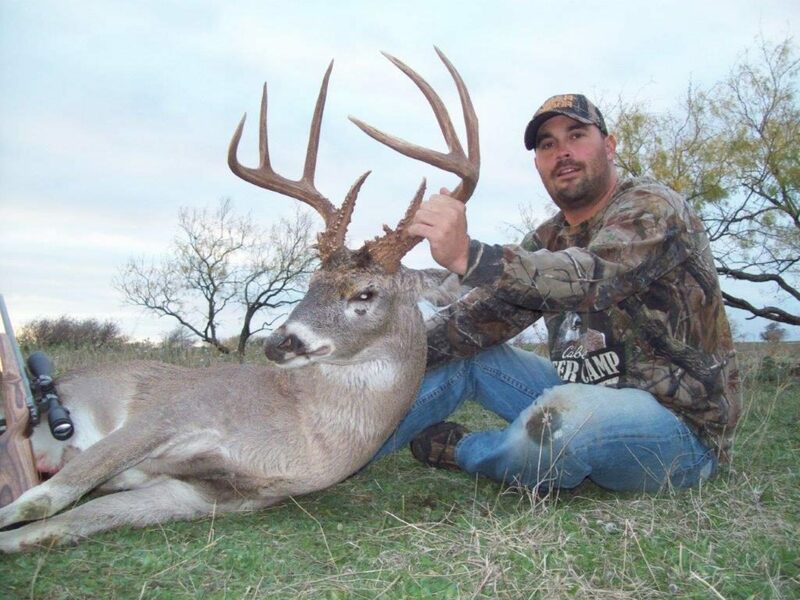 Our all-inclusive Whitetail deer hunting packages will take care of all of your hunting needs. 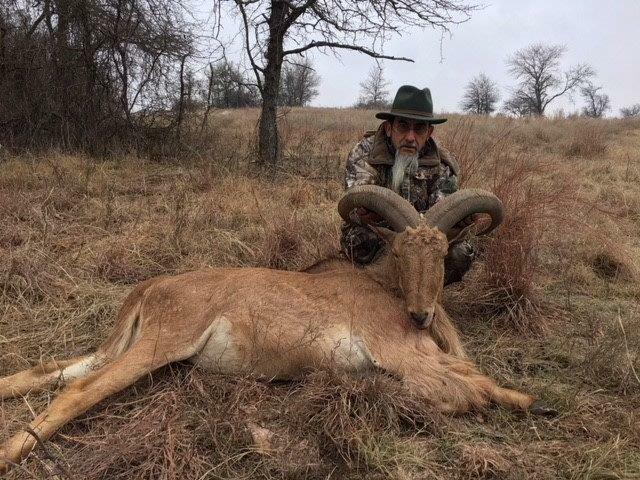 We have some of the best in Texas Aoudad hunting. Indigenous to the Atlas Mountains and Barbary Coast of Northern Africa, aoudad sheep, commonly referred to as Barbary sheep, were introduced into the Northern Panhandle and Trans-Pecos mountain regions of Texas in the late 1950’s. Texas fallow deer hunting can be extremely challenging. These animals are very cautious and will flee immediately once they sense they are being followed. Nine Bar believes in allowing fallow deer to reach full maturity. This philosophy allows our hunters to harvest huge trophy Fallow. Hogs, Hogs, Hogs! 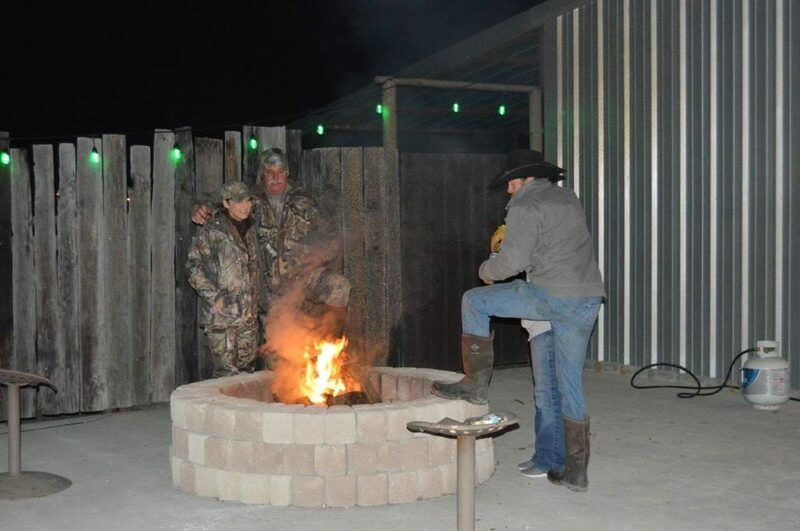 That’s about the best way to describe the hog hunting here at the Nine Bar Ranch. 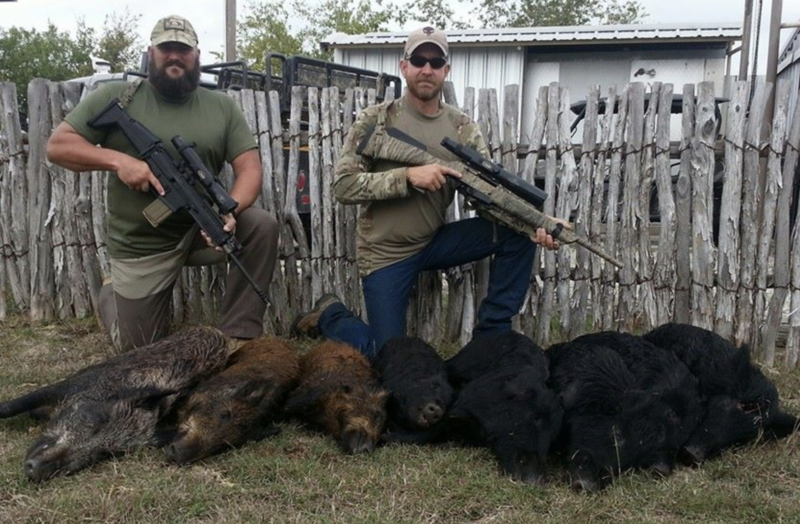 The sows have been working overtime and we have plenty of hogs to hunt. Most hunts are conducted from blinds over corn feeders, these feeders go off twice in the morning and twice in the evenings. Most shots are 75-100 yards. The Nine Bar is home to a substantial number of Sika Deer that provide a hunting challenge year round. 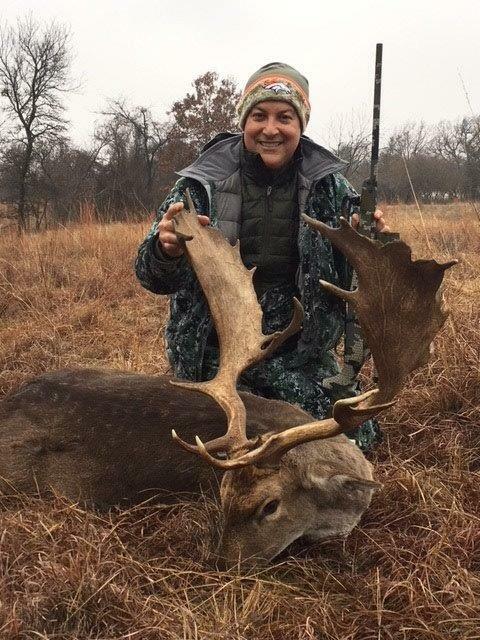 These medium sized deer range from 25 inches at the shoulder to almost 40 inches with bucks larger and heavier than does. The color of Sika deer varies from a reddish chestnut brown of the does through to a dark brown to almost black coloration of the bucks. The antlers of the species are a great addition to any trophy wall. They are similar to the Elk antlers with four to six tines per side. 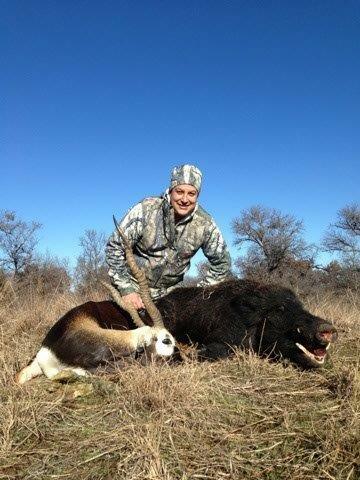 Nine Bar will you put you on a Trophy Blackbuck you’ll want to hang on your wall. 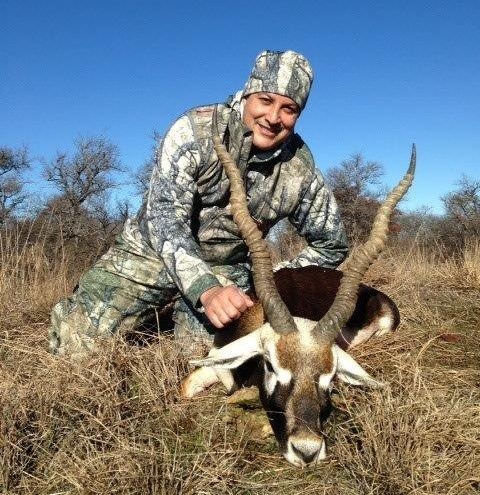 We offer hunts for awesome Trophy Blackbuck Antelope of which some 4 and 5-curl are available. 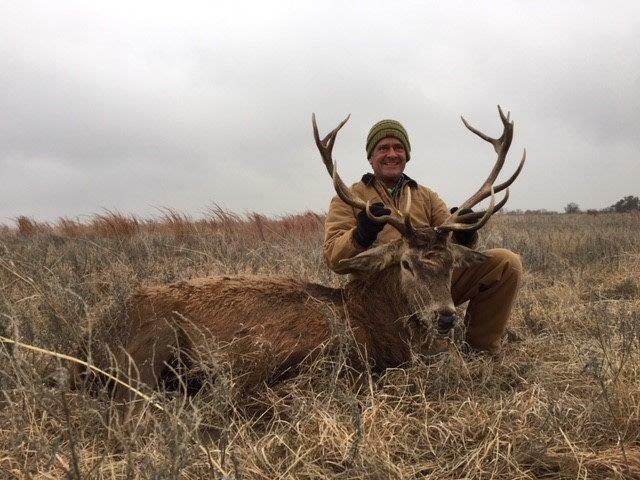 All of the Blackbuck Antelope that we hunt are of trophy quality and average between 18-19 inches straightline, some as large as 29 inches around the curl. 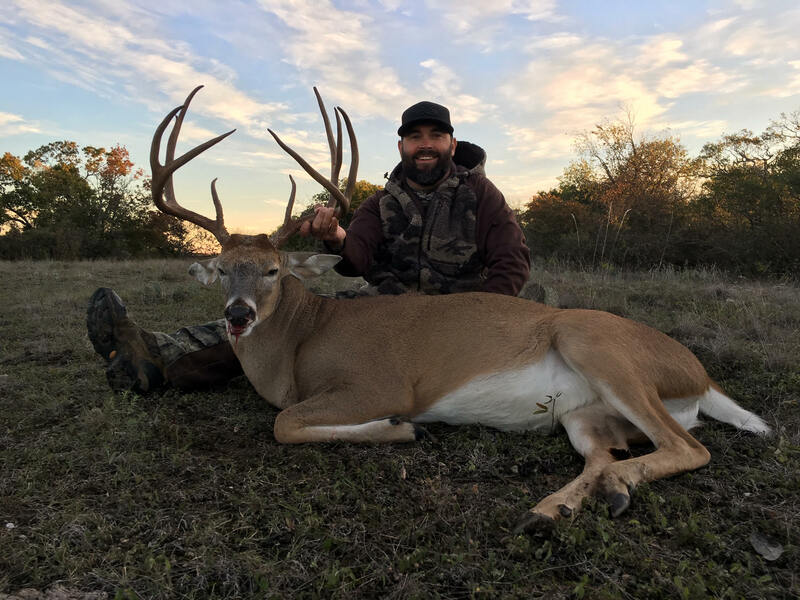 There are no seasonal restrictions on hunting the Blackbuck Antelope in Texas, which makes it a suitable trophy year round. We allow the opportunities to hunt and harvest the Trophy Scimitar Horned Oryx you’ll want to hang on your wall. 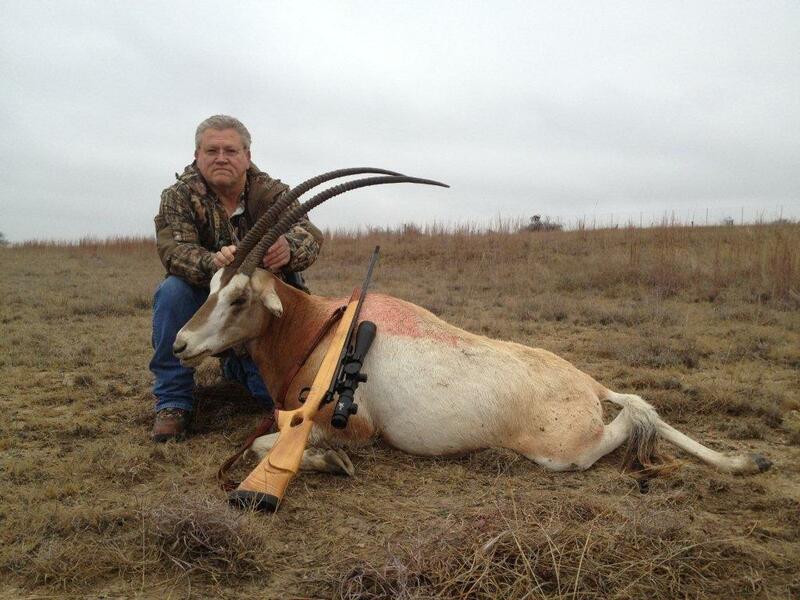 Year round, we offer hunts for awesome Scimitar Horned Oryx. There are no seasonal restrictions on hunting the Common Scimitar Horned Oryx in Texas, which makes it a suitable trophy year round. On 287 just as you enter the southern edge of Decatur, exit right on Business 287. Take this north 1 mile and turn right onto CR 4010. Go 6.6 miles east. Stay on 287 south through Decatur. After passing James Woods Chevrolet on your left and Karl Klement Ford on your right, you will take next exit which is Business to 81 & 2264 Decatur then turn left at the stop sign. Go 1 mile and turn right onto CR 4010. Go 6.6 miles east. From the intersection of I-35 and Hwy 380 on the west side of Denton go west on Hwy 380 for 12.2 miles. Turn left onto County Line Rd., south for 1.9 miles. The road will “T”. Turn right and go 0/3 mile. Turn right onto 101 PR 4010 (you will not be able to see the road sign until later down the road. Just go by mileage). Go 4.3 miles west.